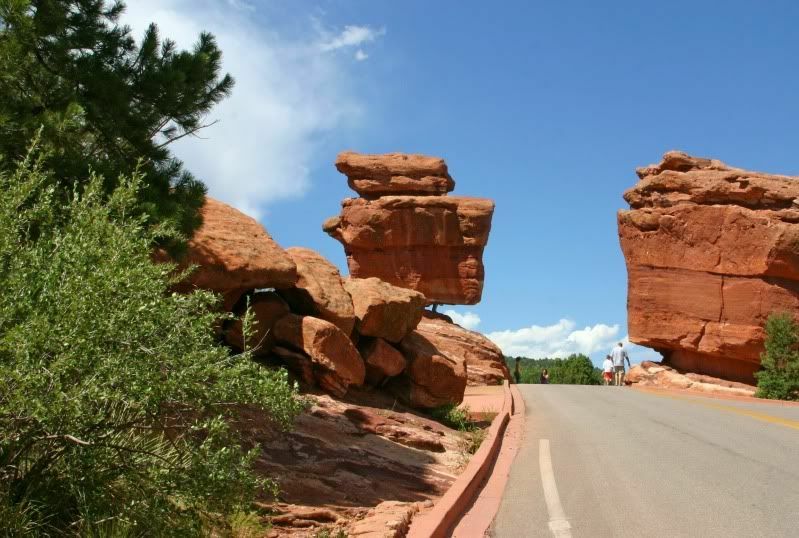 In the Garden of The Gods in Colorado, there is this huge balanced rock. It was such a nice reminder of how perfectly balanced everything in nature is. The rain, the sun, the mountains, the valleys - God is in control and will never fail us. We may have storms, floods, droughts, or landslides. But He is still in control and things are still perfectly balanced, even if we may not see it. It reminds me that everything in our lives needs to be balanced to feel our best ... the right amounts of food, exercise, work, home, family and friends, church, prayer, creating etc. ... and that rock's precariousness also reminds me how close I am to losing it sometimes! That is so amazing to see a massive rock balanced like that! What a sight! Amazing. Love the blue skies against the orange (ish) earth. Great reminder. We were just there last summer. Such an amazing place. I love Garden of the Gods... thank you for sharing this!!! I love Garden of the Gods! We go there every time we pass by. Isn't God amazing! Love this photo. AMEN AND AMEN!!!!! Beautiful photo!